The eldest son was chosen by his father to recite the Kaddish in his memory. Standing at the gravesite where his mother and father lay side by side, the son gathers his large black and white bar mitzvah tallit and drapes himself like a flag on the fourth of July. Enveloped in white, he illuminates the cemetery’s grey exterior. He speaks to the mourners and friends who have come to grieve with him. He then proceeded to enunciate every vowel and syllable in this transcendent prayer. His voice, confident and grounded, remained steady throughout the upside down mantra-like sounds. No hesitations. No pauses. No mistakes. A solid-gold performance sincere and sacred. A Kaddish recited by heart from the heart. 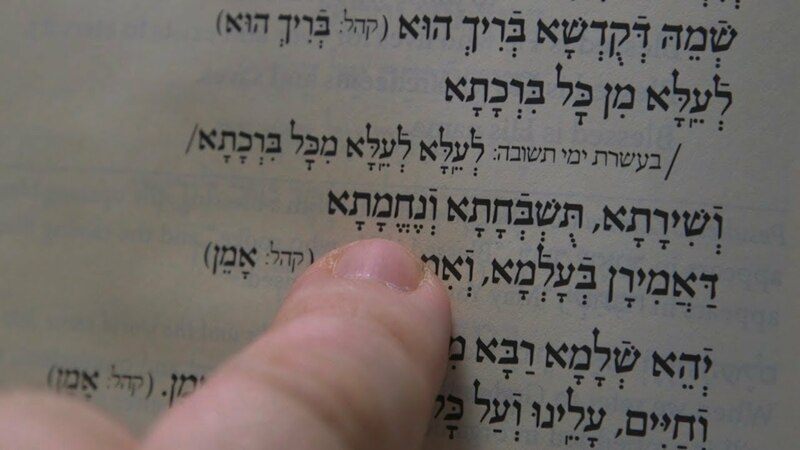 Kaddish is the ancient memorial prayer written in Aramaic and recited by those who are mourning a loved one. In traditional Judaism, it was the eldest son who was obligated to say this prayer three times a day for eleven months to honor his parent and to raise the soul of the lost one to a higher realm. Today, in most denominations, women and men, the eldest and the youngest, chant this prayer in a communal setting. It serves as a therapeutic ritual for the grief work necessary to heal from our losses.